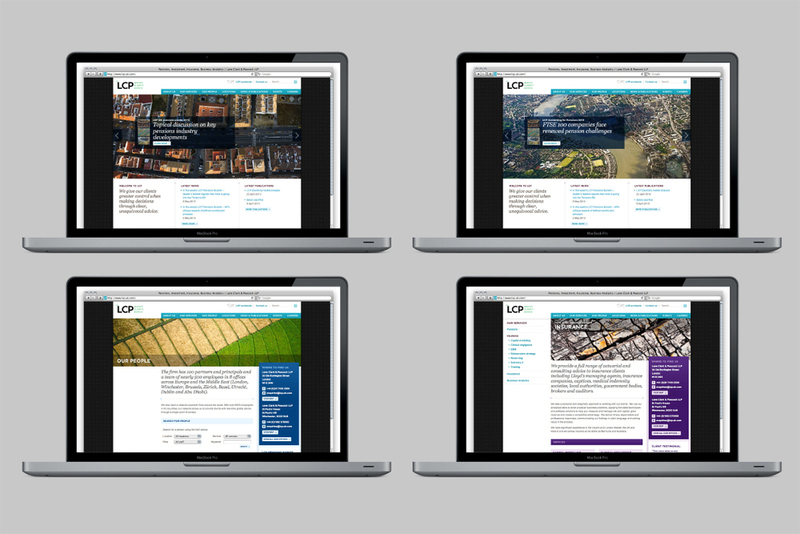 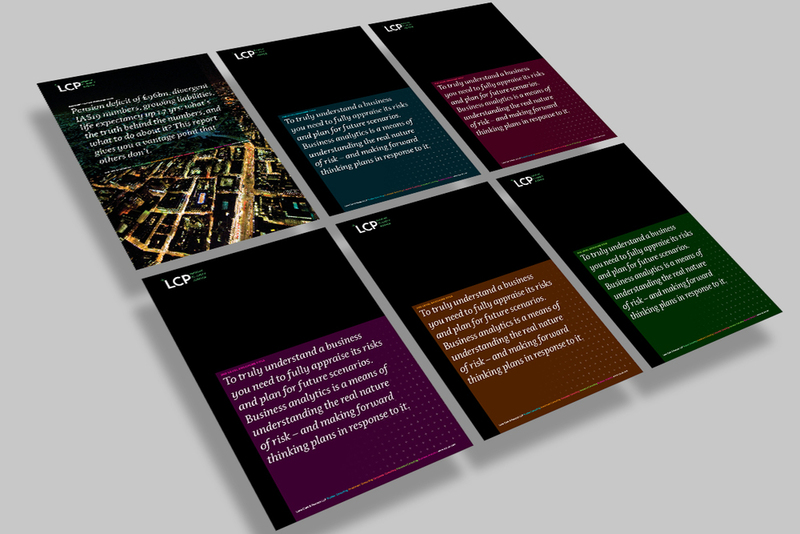 LCP is a european actuary and consultancy company who prides themselves in providing their clients with the best advice to make the right decisions. 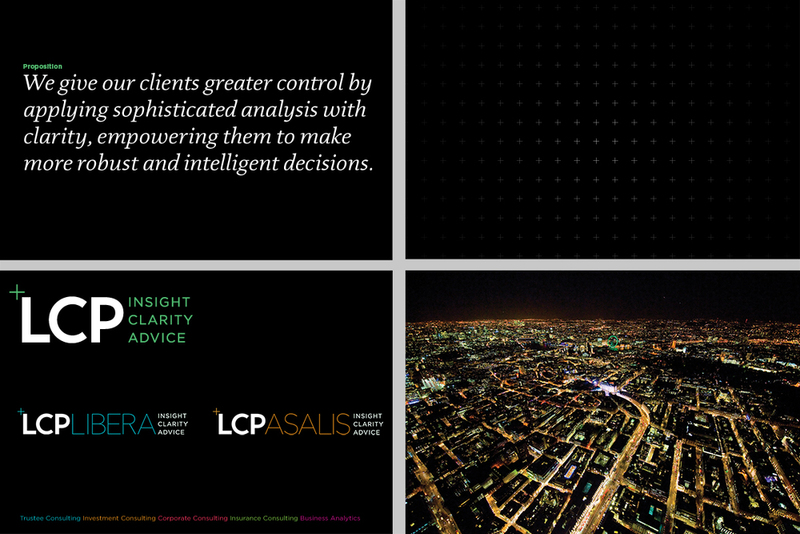 With their tag-line being 'Insight, clarity, advice', their approach is to look at the big picture to find the best solution. 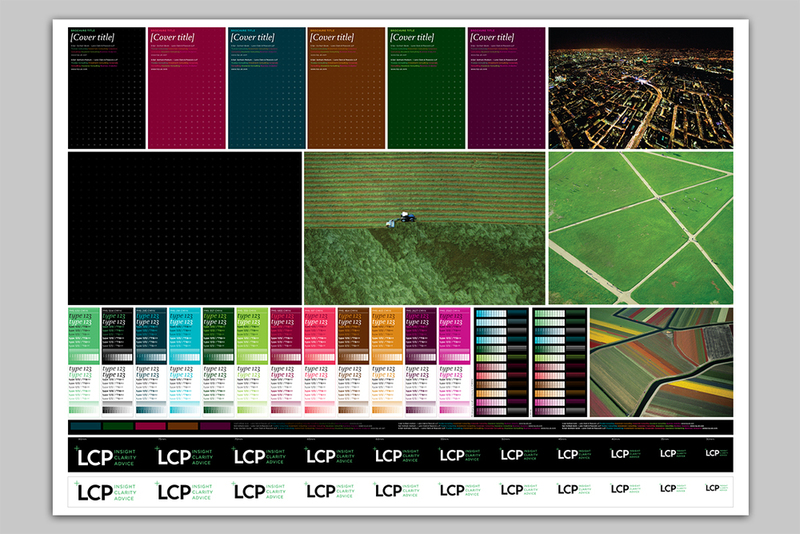 Therefore, Jason Hawkes' aerial photography was chosen to communicate the brands way of thinking. 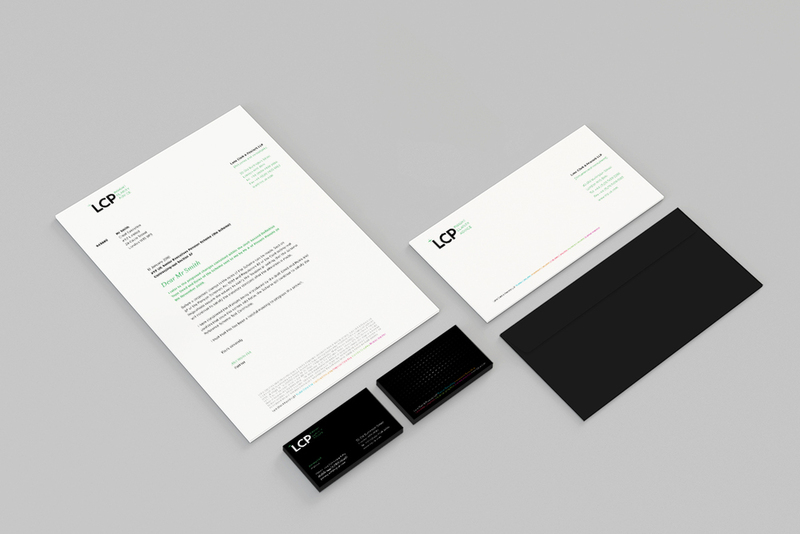 On other LCP materials where imagery wasn't appropriate, a brand pattern was created from the cross-hair pictogram in the logo and is used as a graphic device to link all media. 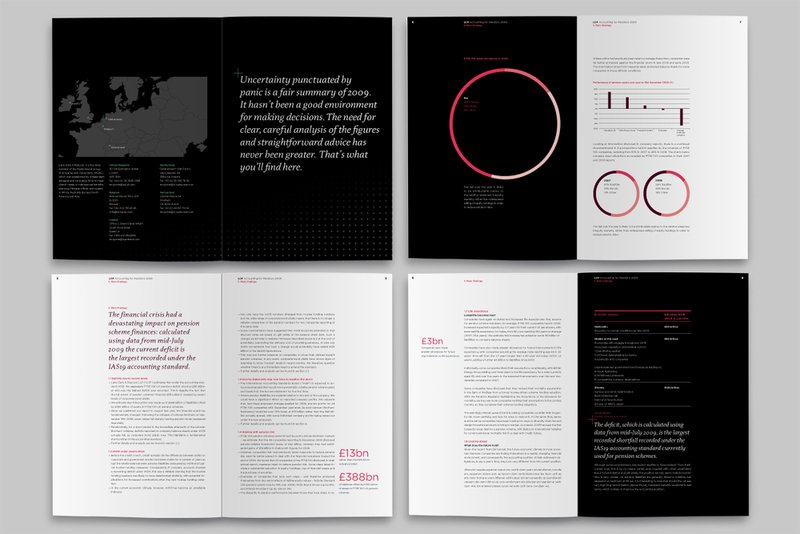 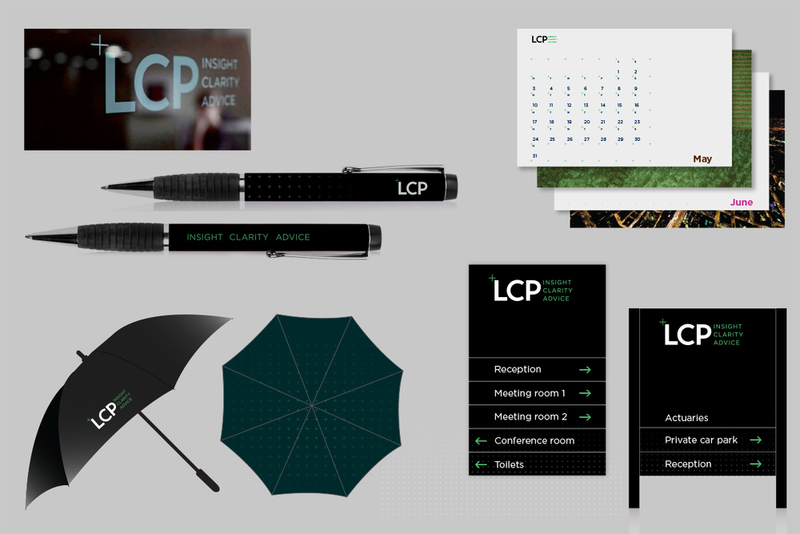 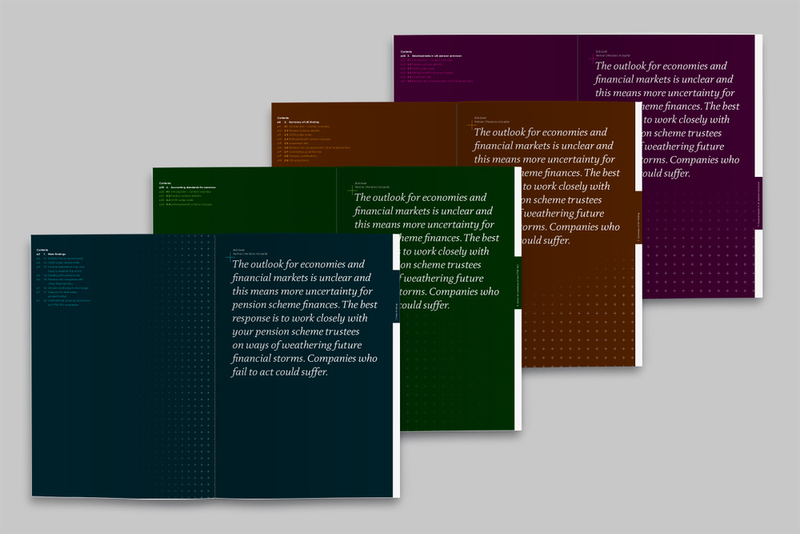 The colour palette chosen was a simple black and white to reflect LCP's logical approach, with added highlight colours to represent the different service divisions of the company and also adding warmth to the brand.